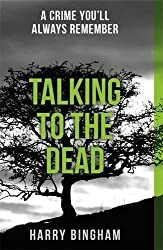 Now: I’ve just started Talking to the Dead by Harry Bingham, his first book featuring British detective Fiona Griffiths. A woman and her six-year-old daughter are killed with chilling brutality in a dingy flat. The only clue: the platinum bank card of a long-dead tycoon, found amidst the squalor. Fiona is desperate to put the past behind her but as more gruesome killings follow, the case leads her inexorably back into those dark places in her own mind where another dead girl is waiting to be found. 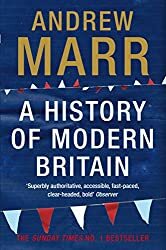 I’m still reading Andrew Marr’s A History of Modern Britain by Andrew Marr, basically Britain after the end of the Second World War up to 2006, with an added introduction in the paperback edition written in 2008. I’ve read up to page 152 so far out of 672 pages. It will be a while before I finish this book – I don’t read non-fiction quickly! 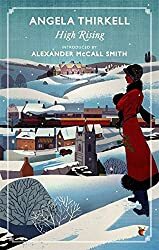 Then: The last book I read was High Rising by Angela Thirkell. See this post for my review. 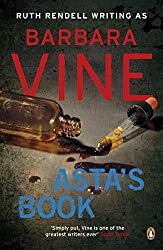 Next: It will most likely be one of the books on my 20 Books of Summer list, probably Asta’s Book by Barbara Vine. Asta and her husband Rasmus have come to east London from Denmark with their two sons. With Rasmus constantly away on business, Asta keeps loneliness and isolation at bay by writing her diary. These diaries reveal themselves to be more than a journal, for they seem to hold the key to an unsolved murder. Ooh, Talking to the Dead sounds really good! That blurb had got me intrigued about the main character. Fiona Griffiths is an interesting character – obviously something traumatic happened in her past. She’s a bit of a lone worker in the police. Talking To The Dead sounds very good! I wonder if it’s as gruesome as it looks, though. I love the mystery around the main character, it makes me want to know more. Asta’s Book looks interesting! I’m intrigued to know what she reveals in her diary. I do hope you’ll like the Vine when you get to it, Margaret. And you’ve reminded me that I must catch up with the Bingham series. I’m happy that you’re enjoying it. Sounds like your reading a gripping crime novel and have another lined up as your next read, and good luck with your long non-fiction read; I also take longer to read non-fiction as I tend to dip in and out of them. Happy reading!